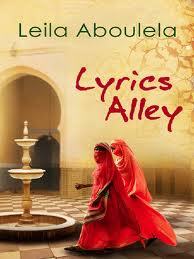 This review of Leila Aboulela’s novel was published in the excellent Wasafiri magazine. It’s the mid twentieth century, as British control over north east Africa fails. Sudanese cotton tycoon Mahmoud Abuzeid, awarded the title Bey by Egypt’s King Farouk, is pulled between his two wives. The two wives share a compound. Sudanese Waheeba in her hoash – a traditional living space half open to the air – represents “decay and ignorance…the stagnant past” to gregarious, multi-lingual Mahmoud. Egyptian Nabilah, much younger, better educated, attempts to recreate Cairo in her Italian-furnished modern salon. She represents “the glitter of the future..sophistication.” But events question such easy distinctions. Each half of the novel is introduced by the illness of a key male, first Mahmoud the patriarch, then Nur, paralysed in a diving accident. These dramatic devices serve to gather the extended family and also act as pivots in the struggle between the two wives. Nur’s illness gives his mother Waheeba the edge over the Egyptian wife. Scenes shift from Umdurman, where echoes of the Mahdi’s rising still reverberate, to Khartoum, then a city of seven churches and two mosques; from Alexandria in its cosmopolitan days to a Cairo of dwindling fezzes, where the ladies dress competitively. There’s a hospital trip to London with its war-wounded, and the TV in the hotel lounge, the first Nabilah has ever seen. Aboulela confidently draws her wonderfully rich characters, neither purely virtuous nor evil but beautifully human. Her fine touch reaches down even to minor figures such as Jack the bad-tempered ex-soldier, or the Harrisons of Khartoum’s Barclays Bank, wined and dined by a calculating Mahmoud. This certainly isn’t airport orientalism. Many of the push-button ‘Muslim world’ issues are here – not least female circumcision – but they emerge naturally, in context, and are not distorted by displacement or magnification. Whether traditional or liberal, Aboulela’s women are spirited fighters, always seeking to extend their influence within the family and out in the wider world. The positive role of faith is illustrated most clearly by Badr, an Egyptian teacher seconded to the Sudan. Badr lives crammed in a small hoash with his wife, children, senile father and delinquent cousin. Mahmoud Bey, who knows the backgrounds of important men, can never remember Badr’s name. It’s a recipe for resentment, but by spiritualising his struggles the teacher becomes the novel’s most positive figure, the sort who prays in the presence of angels. It’s Badr who helps Nur to see his illness as a trial rather than a curse. This passage follows a remarkable stretch of present-tense writing, in which Aboulela examines Nur’s inner turmoil as he prefers death to impotent paralysis, his rage at the loss of privacy and control. “My fictional worlds reflect Muslim logic,” the author writes on her website, and the world of Lyrics Alley is one in which bad things happen “for pedagogical reasons”, in which almost everybody sees the light in the end, almost everybody reforms. But it’s a Tolstoyan sort of moralising, not prudish or preachy but compassionate, even wise. This is a novel, finally, about language and writing. Nur’s discovery that he is “blessed with literacy” is a key stage in his spiritual cure. For him, “The words on the page are a mirror. They reflect his secrets and his beauty.” The words on Aboulela’s page, one feels, are intended to reflect the secrets and beauty of a greater He.